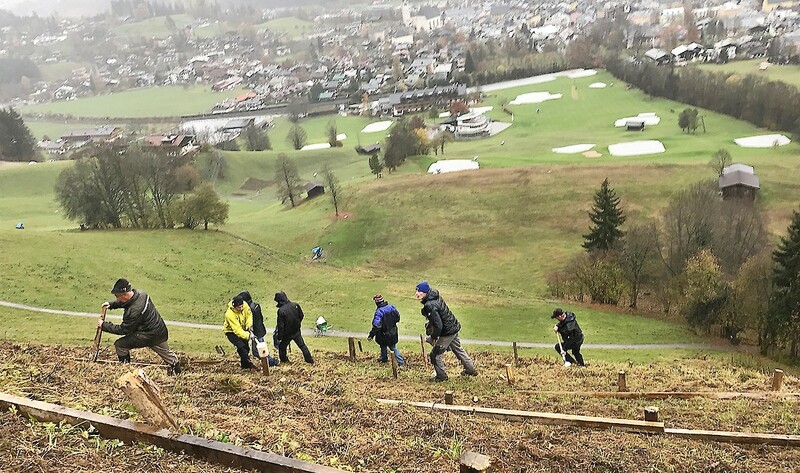 The HKR Piste Team met early at the Hausbergkante on Sunday, 6th November to complete various tasks. Avalanche protection installations were completed on the Querfahrt (traverse) in the morning; grass and foliage was removed to provide an optimum base for the coming snow. Only a few hours later, it began to snow.